Laurent Blanc To Become Next Newcastle Utd Manager? Apologies for the sensationalist headline but bear with me there's a point to it. My patience with Alan Pardew has been down to a thread for most of this season, just have a little look in my archive section to see the proof, but since that Brighton humiliation the thread has snapped. For good. The man is totally incompetent at his role and how he manages to get away with it without any real criticism in the footballing world is astonishing. His greatest talent is being soaked in Teflon it seems. I've named several there and apart from the European qualification (only just in the end) and his ability to avoid any criticism of himself through the media rather than actually help the team, I would say Mr Pardew gets a big fat 'F' overall. I would expect him to get the team right on a few occasions (even Joe Kinnear could do that) as well as a substitution coming off now and again, but it has to be said you are clutching at some very shaky straws to suggest he has been up to the job this season. I don't honestly believe he has known his best team all season long and still doesn't as we speak. The amount of times he has changed the team during the game this year has been astounding. Sometimes as soon as half time and sometimes after just half an hour! We had to suffer through 4-4-2 hoofball nonsense for most of this season before suddenly he saw the light and switched to 4-3-3, but even then he still hasn't done it properly. Jonas LW with Cisse RW? Are you sure? Have you seen our squad play before? You were here last season weren't you? I think that LMA Manager of the year award has gone to his head, or should that be ego? We all know he has a problem with arrogance, which in turn can manufacture into complacency and stubbornness. There is only one thing worse than a man who gets it wrong and that's a man who is not prepared to admit it. I am sure the captain of the Titanic was still adamant going that little bit faster was the right thing to do in last dying breath. Plus the 8 year contract in the back pocket sent his demons into over drive. Telling a man like Pardew he can do what he likes and only get sacked under remarkable circumstances, is like telling Adam he can live in total paradise but only if he doesn't eat from one specific tree. You know he's going to focus on it, ignorant to the Babylon around him. But moving on from bashing Pardew again, let's offer an alternative. If we were to (rightfully) sack a man who has seen this massive proud football club lose 10 games out of 12, including being dumped out the FA Cup with the barely recognisable smallest of whimpers, then who could replace him? In my eyes we would need somebody with a continental style and outlook all round to match our continental squad of players. We would need somebody with success and a track record to admire to warrant replacing our current manager. We would need somebody who could get the best out of the big French speaking contingent in our squad. We would need somebody available and who would realistically come to our football club. One man stands out above all to me and that man is Laurent Blanc. Since he won the French league and cup double with un-fancied Bordeaux and took over the complete shambles of the French national team with great success (he went over 20 games unbeaten) he is at this moment without a job. It is understood he is learning English in preparation to come to the Premier League at some point in his managerial career. If you can also tell me someone who is more suited and qualified to bring the best out of Yohan Cabaye, Matt Debuchy and Ben Arfa then I would like to hear it. He had a squabble with Benny in the Euros but the fact he picked him in the first place says a lot. For me, I would be on the phone to him right now to see if he fancied taking on the challenge of Newcastle Utd in the Premier League. He already knows some of the key players along with others like Gabriel Obertan who he had at Bordeaux for e.g. The shoe fits perfectly for me and under any other (normal) circumstances this appointment would be not just likely but at least have the odd small whisper about it. But that is the major stumbling block isn't it? We aren't in normal circumstances. We are still in the Ashley/Llambias era. They don't want the best manager possible, they want a puppet. They don't want the best possible squad to compete, they want assets to be sold on. They don't want to spend money we can afford to make the football club stronger, they want to squeeze every penny and spend nothing if they feel they can get away with it. No matter how much I slate Pardew, it's these two clowns that are the incurable cancer that sits deep within our football clubs cells. I don't care what you say these men have done, this football club can never prosper under Laurel and Hardy's leadership. It's just plain impossible. They are incapable of making rational, intelligent, well thought out decisions. When they come close to one, they then destroy it by not seeing it through properly or compromise it with a counter productive bad decision. In the 5 or so years Ashley has been here there are catalogues of examples that I am not prepared to waste my time going over again. We all know them (or you should). But I will mention the latest one in the Matt Debuchy signing. We are all glad he is here but why was he not already here in the summer? Someone explain it to me. By delaying the transfer 4 months the club has managed to save itself about £3 million in fees (transfer, bonuses or otherwise) by signing him for £5 million. But considering our failure and lack of quality in the full back area, was it worth it? Wasn't it worth having the lad in our team all season where you can pretty much guarantee we would be higher in the table. Yohan Cabaye would certainly have been a lot happier for a start which naturally breeds better performances. Plus look at the actual money 'saved'. If we had signed Debuchy in the summer for say the £8million (10mllion Euros) Lille ultimately desired then we could have sold Simpson to the highest bidder. How much would he have been worth with 12 months left on his contract? £2-£3 million? So how much is he worth now with 6 months left? £1 million? Will he even leave? If he leaves in the summer for free than we haven't saved ourselves any money at all. All we have done is have a less talented full back in the team for 4 months for no financial gain whatsoever. In fact you could say we have LOST money by having a lower league position. It's complete lunacy. Debuchy for £8m - Simpson for £3m = £5 million spent. Debuchy £5m - Simpson 'Free' = £5 million spent. Where is the logic? There isn't any. This is the kind of business acumen these clueless idiots possess. Our manager position through Alan Pardew is merely a puppet to speak for Mike Ashley's play thing with Derek Llambias in place to be the middle man to filter the propaganda the club is run on and to polish and glitter up the turds it produces. All of which us fans are required to swallow and chow down on without complaining otherwise you are somehow 'against' the club. 'Let them eat cake' one out of touch monarch once famously said. Our illustrious leaders aren't that optimistic. 'Let them eat sh*t' should be our club motto right now. We may as well change the club badge to a magpie crapping over the fans as he perches on the stadium roof. Let's finish 5th and not invest the money we made into the squad shall we? Let's sell a player for a ridiculous price of £35 million (net profit) and not invest it efficiently in the squad shall we? Let's acquire a football club and it's debts for £234 million, put it down within the clubs accounts as a loan to be paid back at some point, then actually make money through club transfers even though I am recognised as a billionaire shall we? If our football club was that of make believe on the scale of that of Harchester United on Dream Team I wouldn't believe it. I would question the reality of the story line. Because when a club gets relegated after a billionaire takeover, it really is that ridiculous. We can only hope for normality when Ash sells up and ****'s off. Only then could we dream of having a proper manager in place like Laurent Blanc for e.g. Only then could we regular challenge for European places and cup competitions. Only then could we have a season where we didn't have to be dreading relegation to the Football League...for the second time!! An appointment like Laurent Blanc would be seen as logical in years gone by, now it is impossible, that says a hell of a lot. That headline really had me hoping!!!! Ha. Sorry about that. But the point of your excitement towards it and then realisation it's not gonna happen is the point really. Says everything you need to know about the Ash/Llambias era. Why is it unrealistic? The man is unemployed and we are a big club in the Premier League. By your logic why is Cabaye, Debuchy and Ben Arfa here? who else was there to pick from,the thing that annoys me most is the lack of committment shown by too many players,they should be wanting to bust a gut for the cause,and to try and keep their shirt when all are fit,but instead we had players who looked like they were having a training session,obertan sammy abeid just to name three were crap,they not only let themselves down but also the manager ,fans,and this great club of ours,theres an old saying,you can only p-ss with the pri-k you got. The fact he then blamed the lack of experience in the team and the injuries was no surprise. Totally avoiding the fact that the team he put out was completely prepared by him. I would expect our U18 team with their manager to put up more of a fight than what we did Saturday. The man is a total failure. Last season he fully deserved his award, no doubt. This year he deserves to be moved on, no doubt. What a load of drivel. I won't be back to read this blog again. Whilst I believe Mike has done a lot of good for our club; I find it staggering that you don't agree on some of the main points! Surly you could have made an attempt to a counter argument? If Toon Bango's article is one-sided then surly you could have come up with an open-minded one? The problem is we all want a sugar-daddy; but Man City and Chelsea are not giving theirs away. We can't choose our owners: they choose us. It's up to them to sell the game to us; but we seem to spend all of our time selling our club to them! Telling them how big our fan base is, showing the success of other clubs with the same type of infrastructure. We point to the type of investment we would like to see, predicating the kind of success they would bring. Surly Mike shouldn't be preaching how poor we are? He shouldn't be selling us the idea that we are a small club. That we can't afford to compete with other clubs within the premiership! Is this a bit of reverse psychophysiology on Mike's behalf or what? Protests fuelling his air time in the media-giving him maximum publicity! At the same time as taking money from the fans he has just scoffed. In any business it's a win-win situation; where's our win? Of course you have to look at the state of the club; before Mike took over. It was always going to take time for Mike's plans to come into fruition! But what are those plans? We still don't know! The only thing he has sold us: is the 'interest free loan'- wow. Mind blowing! If only Mike had have invested in the summer; things would have looked a lot different! Sure we would have lost Demba Ba, but we would have had another striker in by now, and as this article has pointed out: we would not be staring at our second relegation. Even Mike makes Shepherd look good: and that's saying something. Go away then then and carry on in denial. They say ignorance is bliss and you my friend must be very happy. I suggested Blanc as an outside bet a while ago. "Outside" because he'd have some bridge building to do with HBA and Cabaye (possibly Debuchy as well) after the contretemps in the Euros last year. Since then he's also been embroiled in a mini racist row where he was alleged to have commented on the number of black players in the national development squads who are chosen for their pace and power rather than natural ability (where have we heard that before ?). Which then led me to consider Paulo di Canio (see the connection) as another outside bet for Manager (imagine Fatman and Paulo shaking each other firmly by the neck). Yeah a new manager isnt gonna happen or is it ? Fatman cannot afford another relegation as it cost him (actually it cost us in the end) approximately £40m in lost revenues and additional interest free loans just to keep the whole show on the road during the year in the Championship. In addition to which Pardwho isnt gonna last 8 years and thats a fact. He's lucky to have lasted this long and, pretty soon, when we've got no more points at the end of January than we have now, the penny will drop with the powers that be. Hopefully Fatman will also take note that it was Llambias who introduced Clueless to the party (as a former client of the casino manager) and fire them both at the same time !!!!! Fatman's always wanted a "Yes Man" manager to do as he's told. However he has to learn that if a manager is to have an effective and ultimately, successful relationship with his squad he needs to have their confidence. He needs to fight their corner and he needs to have the support of the Board/Owner as well. If that doesnt fit with the Fatman then I suggest he puts the club on the market, for whatever he can get for it, and feck off otherwise we'll have this stop/go situation occurring on a regular basis. Yea saw that racism issue stuff. Misunderstanding in the end I think. Cant see it being a problem. There is nothing about him coming in that I can see wouldn't make sense...its the fact he couldn't work with DL and MA that's the buffer. ....nor would they want him. Exactly. Ashley didn't 'buy' anything. He if fully expecting to get his investment back as it is clearly down as a loan, which is to be paid in full one day, when he f**ks off. So many people gloss over this. If Ashley wrote off the loan for whatever reason and sold the club for less than he 'bought' it for, then you can say he has actually spent money. As it stands he acquired an asset for £137m, injected a loan of £100m, then he will demand the £237m back one day. That we can be sure of. He has yet to spend a penny on transfers. Still in net profit in his 5 years as we speak. this is the same sort of thinking that led us to the brink of financial ruin and racked up all the debt that we have. we can't spend money we don't have. we are not chelsea or citeh or PSG. I think you need to have rethink of what this article is suggesting if you think financial ruin is even a remote possibility. My point is we should realistically be in for a manager like Blanc. 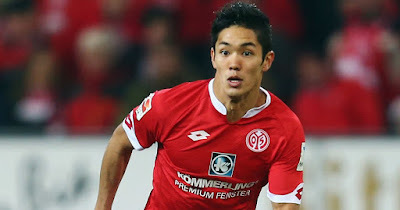 He is a relative rookie by all accounts and the lure of the Premier League is huge. Why do you think we have Cabs and Debuchy here? They could play for most Champions League teams. NUFC are a huge club no matter what the league table says. Don't lose sight of that. Whos ti say hughton woulgnt of done better than pardew, he could of had champions league remember but the team flopped the last few games. I think its a great idea sacking him for someone who can actually get our boys playing like a team again. The amoumt of times this season i could of picked a better, more attcking style this season and rotated the 2 dembas in a 433 from the start! He doesnt have a clue for the game, hes also a business man! I think they should try taking someone who has an eye for the game and i agree laurent blanc would be a good idea or atleast someone who is french/english spoken like arsene venger. The reason why pardew has been in the club for this long is that 8 year contract. That would be a massive blow to ashleys ego. I sometimes think what would have happened under Hughton. Steady progression is what I come up with. Pardew only won 3 of our last 17 games and lost to Stevenage in the FA Cup when he replaced Hughton. 90% of fans forget that fact. Pardews record is not as impressive as his defenders think. The voice of the frustrated masses. For me the alarm bells started ringing with the award of the 8 year contract to a manager who has yet to prove he can weather a storm and recover with verve. Like football has seen time and time again when you dont give someone a goal to work towards their edge and hunger is lost. Pay them too much or reward them above their station and failure will draw closer. Along with the clubs summer transfer policy, its yet another example of Ashley's lack of knowledge of the world of football. 8 year deal is madness is most people eyes. But in their eyes it just means stability for that period. They haven't a clue what stability is. The reason Fergie, Wenger and Moyes have stayed for so long is because they were successful. That is all. In my opinion Moyes gets too much praise as he hasn't won a trophy in 10 years but he at least finished 4th one season which is huge for Everton. Although I'm giving Mike the benefit of the doubt, I think this is a very good article. It covers what 'most' fans think! When things seemed to turn for the better last season; there were posters on forums (that supported Mike) that felt justified. But who's to say that it wasn't the protesters that hadn't won the day? We need fans' that defend the club from all angles. Anyone coming in to take over the club is only going to do it to benefit them! If Manchester united never felt any pressure from their fans': then they (like us) would still be waiting for their first trophy. However it doesn't reflect the mess Mike found the club in (I suppose, why should it?). We were spending far more than we were receiving-we were going into administration! It is my belief (no matter how painful) we were going into the championship regardless of Mike Ashley. This does not make him our 'saviour' (as I'm sure; there are a few on here: who would love to point that out) as he was only looking after his own interests! Is Mike a shark? Yes! I believe he is. Is there a cuddlier shark out there? Who knows; but at the end of the day, were going to have to learn to deal with the cancer: because cutting it out only seems to make it spread. So how do we deal with it (I hear you ask)? Top posters with articles like this! Put the bastards under pressure! Find his main cause (you know it's going to be money). How much will he lose if we drop? And never think the man is stupid (because he's not). Do we know where all the money is coming from? Keep the media on our side! Did I say I'm supporting Mike? No! I said I'm giving him the benefit of the doubt. I support NUFC! And I never lose track of that. I want to hold him to account! And as for Alan Pardrew-you're bang on! Like the idea of a foreign manager. A continental manager, to work within our continental set up behind the scenes, with our continental players is the perfect match. Unfortunately Mike Ashley will only hire an Englishman who is prepared to bark on command to whatever he wants. If only Mike had have invested in the summer; things would have looked a lot different! Sure we would have lost Demba Ba, but we would have had another striker in by now, and as this article has pointed out: we would not be staring our second relegation. Even Mike makes Shepherd look good: and that's saying something. In our relegation season I was convinced we would go down. The club was shambolic and had no sense of direction. This year, despite our bad form, I can't see us going down UNLESS we do something silly which disrupts the team and the club...like sacking the Manager. The manager and the coaching team that took us to 5th last year haven't suddenly becme bad. Last year we were lucky with injuries and the team overperformed. This season, sadly, the opposite is true. 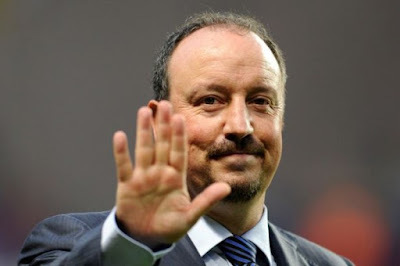 We need consistency and stability at Newcastle, something we haven't had for years. Although we should have spent more in the summer, we haven't got money to burn. 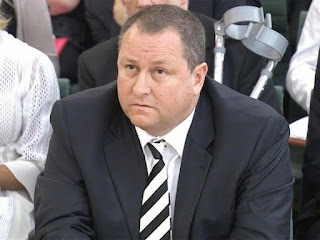 I hope that Mike Ashley learns to be a little less cautious, and I think we are seeing that he will. Oh, and by the way to all the Mike Ashley bashers. Can you imagine where the club would have been now under the old management? And there isn't a queue of mega-rich people lining up to buy it off him. Despite some poor results and a truly awful performance last weekend keep calm, stick with it and we will be fine.